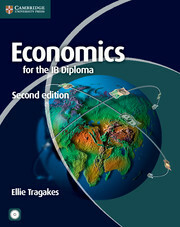 This Cambridge Elevate edition provides coverage of the Economics for the IB Diploma syllabus at both standard and higher level. Written by a highly experienced author and developed in association with teachers, it provides an international perspective and in-depth coverage of all four sections of the syllabus. Designed for class use and independent study, this digital resource presupposes no background knowledge and offers clear explanations of economic concepts using accessible language. International case studies help students apply their knowledge to real-life economic scenarios. Accompanying documents containing advice on revision, quantitative techniques and further exam practice are available for download throughout the text. 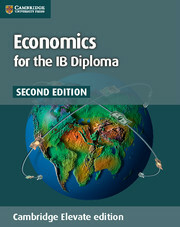 Tailored to the Economics for the IB Diploma syllabus for first examination in 2013. Formative assessment in the form of self-assessment questions throughout each chapter allow learners to track their progress through the course.